Time is come for me to host the Dinner with friends and it will be a great pleasure! Due to my origins, we will have a Spanish dinner and more precisely a wonderful (I hope so ;) “paella valenciana”. I am really looking forward because it will be the event where we would have the chance to get to know each other better, where we can tell funny stories and really have a good time while enjoying a paella with some Spanish wine (or other drinks!). So you are welcome to share this meal with me at my place on February 16. 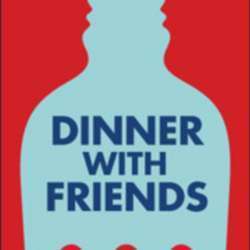 Dinner and friends is an idea where everyone invites to their home and serves up his national meal specialties (or what he loves the most) or we cook them together. The host decides on the menu, the number of guests and the costs will be shared among everyone. And hopefully the position of the host will take turns. Because this is a small event and to prepare in advance, I ask you to sign up only if you are sure you can come. Looking forward to wonderful and delicious moments with you!